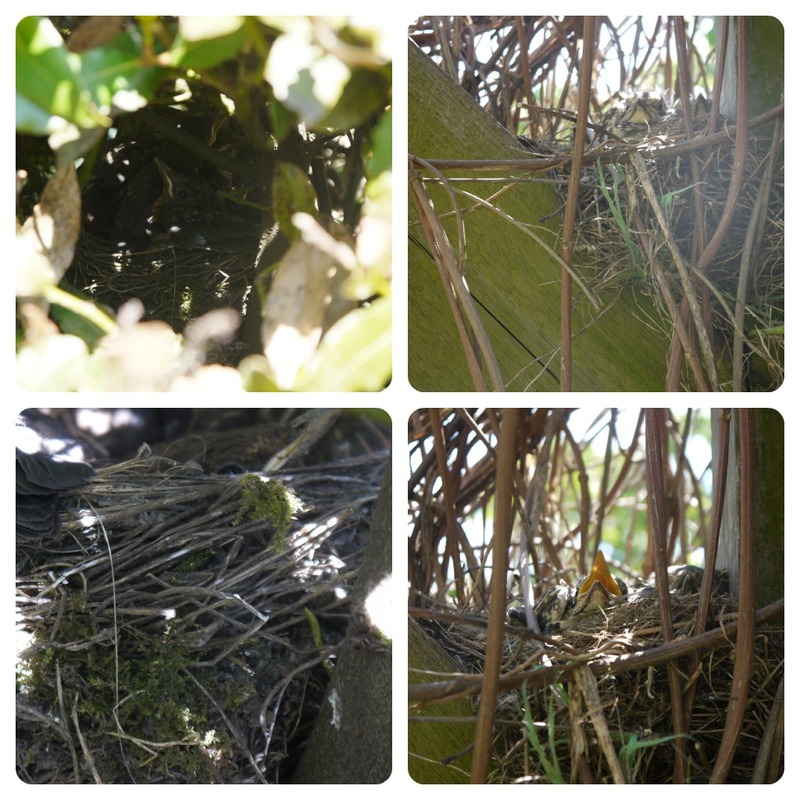 All over the garden, in the grass, in bushes, up high in the pergola there is a the sound of chirping and cheeping and that's without taking into account the nests in the thatch and the tree stump. It would seem that birds love making their home at our home. 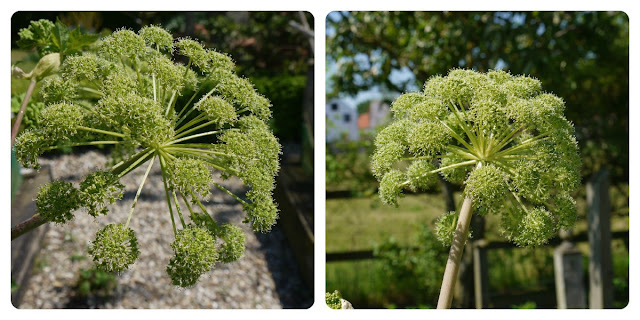 We have Blackbirds in the bay and a family of Mistle Thrush in a nest by our barbecue. Poor Mrs Thrush had a very unhappy afternoon as we sat in the garden on Sunday invading her space and really putting her off returning to the nest until we left her in peace again. We also have two chicks, which considering the amount of eggs two hens were sitting on was a bit pathetic really, but apparently it's a very bad year for hatching so perhaps we are lucky. 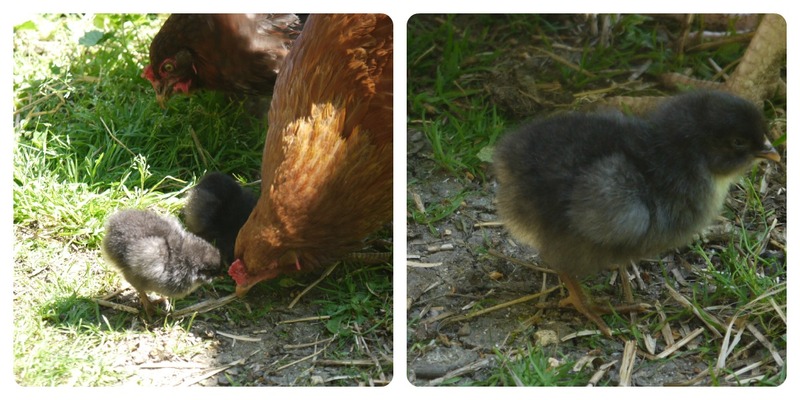 We're not sure who's the Mum as both chickens seem to be clucking around them and so I guess they will just share them! Fingers crossed they survive and let's hope they are little girls. In the garden it feels like summer is really on it's way with beautiful colours everywhere. Wasn't it just the most glorious weekend. I sat in the garden on Sunday reading the papers and listening to all the chirps and cheeps and relaxing in the sunshine ... perfect. 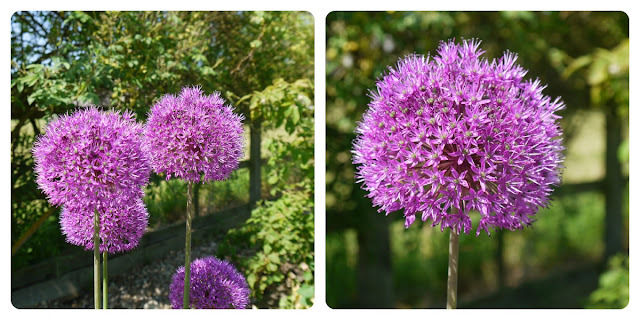 I now have serious fluffy chick and allium envy ... I lift all the bulbs as the garden is so small and I forgot to plant allium this year, bother.